Before we settled in the Southwest, we used to live in states with some serious snow days. When our apartments in Oklahoma and New Jersey did not have garages, it was such a hassle to scrape off the snow on our cars. And even though our townhome in Illinois had a garage, it was a workout shoveling the snow off the driveway. 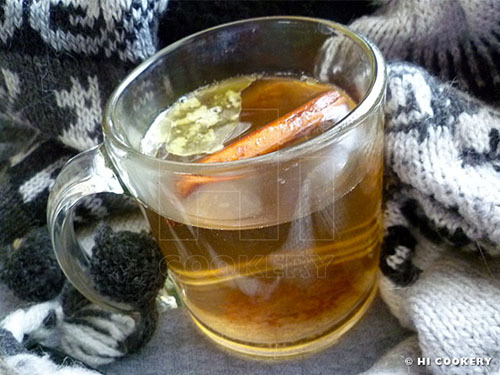 Coming back in the house from the cold, we would warm up with a hot beverage—tea, cocoa or a “spirited” liquid. 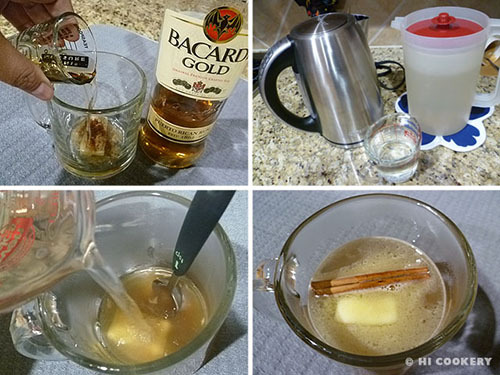 One simple spiked drink included hot buttered rum, which was easy to prepare after expending energy out in the winter weather. A sip of it was certainly soothing. We rarely have snow days in South Texas now but we still make hot buttered rum to cozy up on some cold evenings as well as observe Hot Buttered Rum Day. In the bottom of a mug, place the butter. 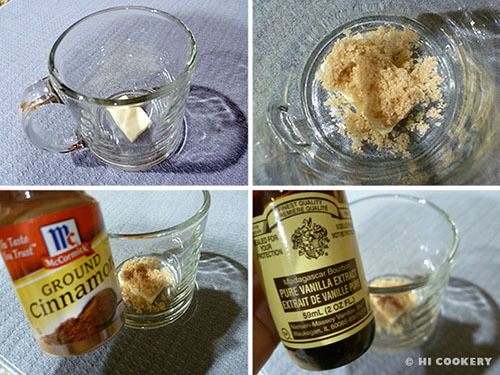 Sprinkle with brown sugar and dash of spices (cinnamon and/or nutmeg). Add the vanilla. The final food photo above was shot with our old sweaters and woolen hoodies, which have been stored away for years after moving to the Southwest. We still wear them on the occasion that temperatures drop to freezing, or during the holidays/winter break when we visit family and friends who live in northern climates. Search our blog for other beverage recipes with “spirits” to warm your hearts.